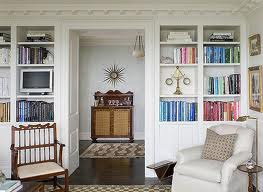 I LOVE the look of bookcases, small, big, built in or free standing, I love them all, but when it comes to styling them there lies my creativity block... One of my favorite blogs Simplified Bee did a great post "Tips on Styling a Bookcase Like an Interior Designer" That really inspired me to take a stab at my own. 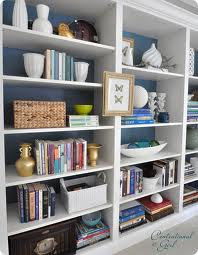 One of my favorite things that I have seen is adding art work to the shelves, not just little pictures of your kids or family but actual art work. 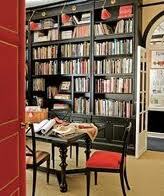 Or attaching it on the outside of the shelves and let it hang in front. 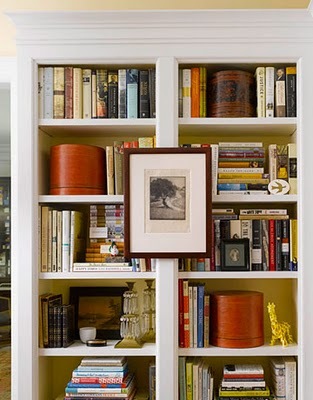 Remove a shelf and place a big piece of art in and accessorize with two more small pieces. Remember ODD numbers, things always look best in odds like 3 or 5 and in larger areas 7. 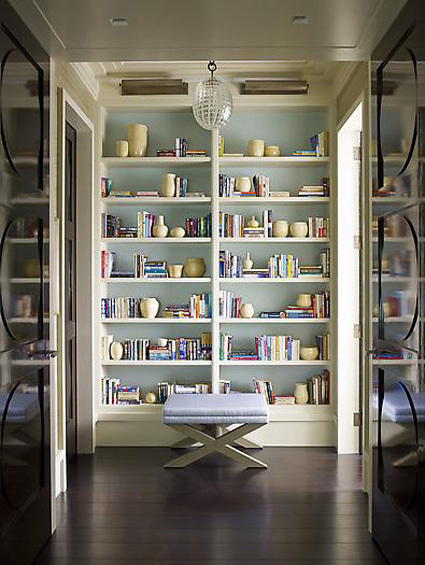 This stand-alone bookcase with art lights cantilevered off the top gives and inexpensive and versatile way to add drama to the space. 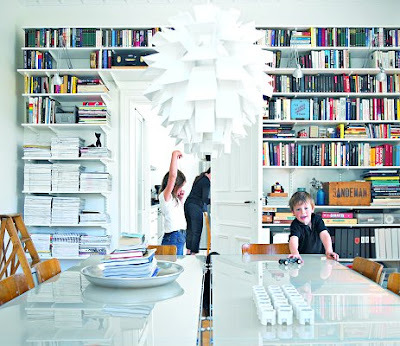 A similar case can be purchased at IKEA here. 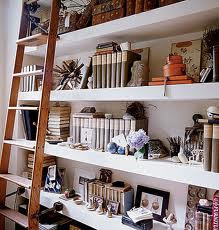 In this small space it was smart to kept the scale of items on the shelves smaller so that it did not over power the space. 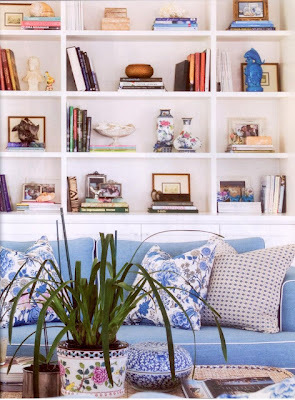 They also carried a natural linen colored collection of vases threw as the only accessory, a common element unified the space and kept it very understated and calming. 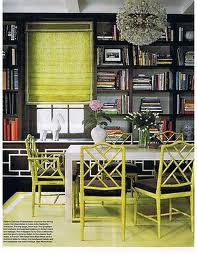 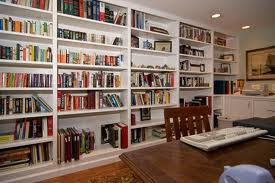 Here this modern fun home used inexpensive "rack" shelving that can be bought at your local home depot or lowes. 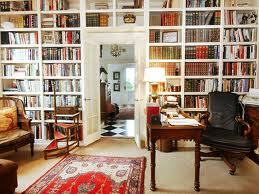 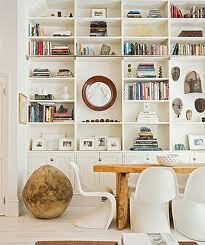 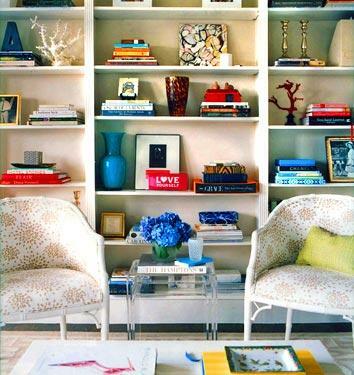 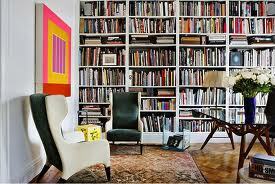 They have packed it full but also made it clean and organized, making this room very chic and bold. Not all of us have a rainbow of books, but I LOVE the color-coding that they have done here. 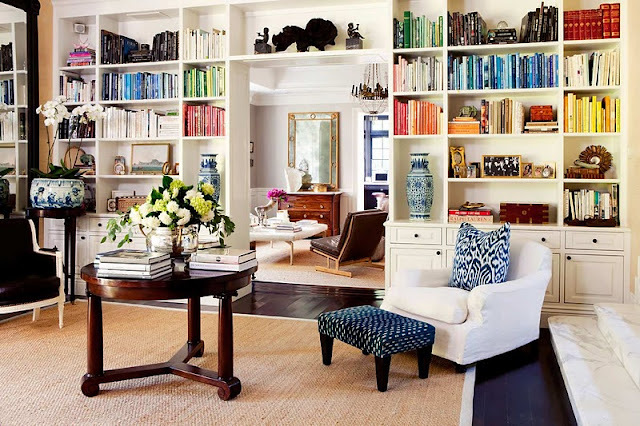 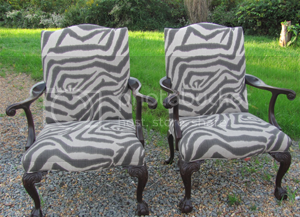 They also created a symmetry that makes this room very eye catching. 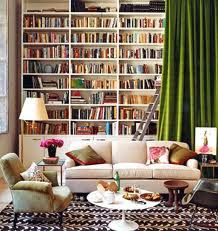 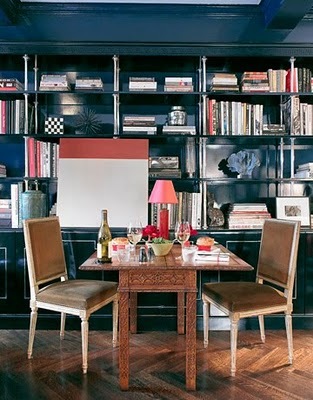 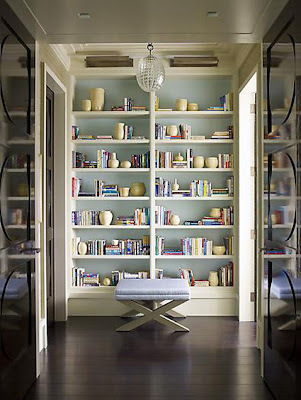 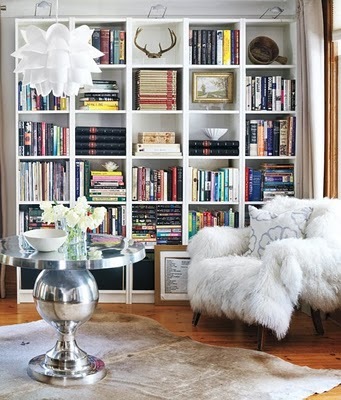 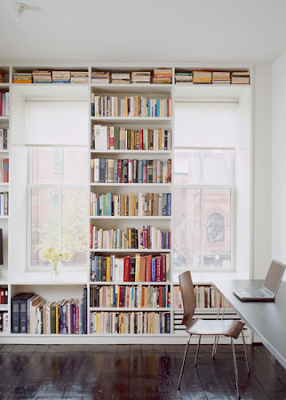 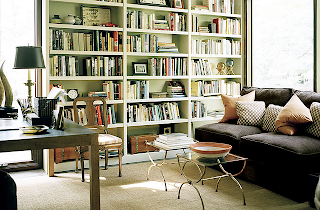 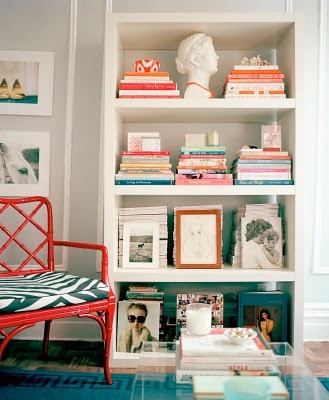 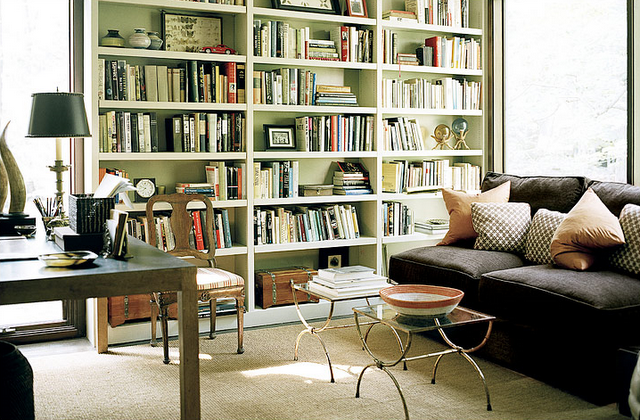 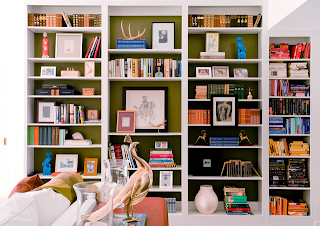 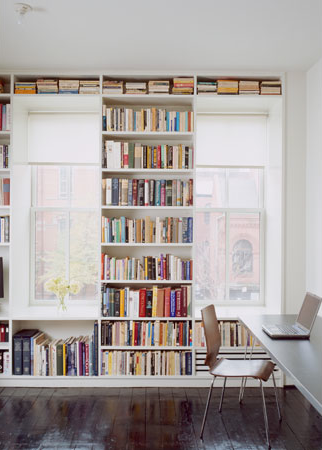 I apologize sadly, I dont have the sources for these pictures, they were all images I have collected over the last two years when dreaming about how I would Style my own bookshelves.